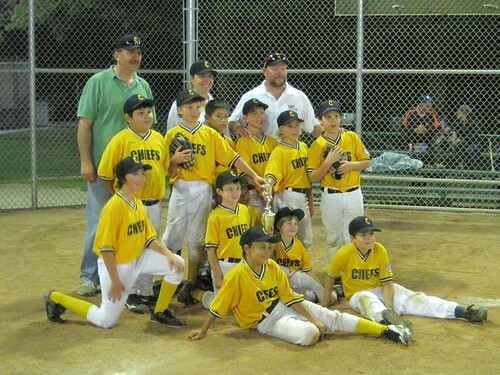 Tonight I was lucky enough to watch the Chiefs defeat the Bisons at High Park to win the championship. My son happens to be a very proud member of the Chiefs, who won the series 3 games to 1. Also, it looks like attendance at your games is better than Jays games. That's what winning does for ya. Attendence is also better than on this blog. How about some interesting content? Precious moments Mike, cherish them. My son plays pee wee minor football. I'm very proud of the kids and the coaches. As long as the politics is kept to a minimum, it can be a great experience for our young folks as they develop into adults.